Who says old news isn’t good news? I was very happy to hear that the Glenglassaugh distillery is working again – contrary to the information in the ‘Distillery Data’ section on Malt Madness. However, Managing Director Stuart Nickerson was kind enough to point out my error. Because Glenglassaugh was mothballed as far back as 1986, I was sceptical about the distillery’s chances of ever being revived again. I’m happy to have been proven a tad too sceptical in this case; in 2008 (more than two decades after it was closed) the distillery was revived again… The good news of Glenglassaugh’s revival released a barrage of questions about the details of the resurrection in my mind. Fortunately, Stuart was more than happy to be interviewed for Malt Maniacs, so I would be able to put most of these questions to rest. It has been a while since we’ve published an interview on Malt Maniacs. In fact, it seems like we published our earlier interviews in another era entirely; the world has changed a lot since then… More and more people from the whisky industry are active with social media like Facebook , LinkedIn and Twitter. That means that these days it’s not always necessary to start an interview with a load of questions about the personal and professional background of the interviewee. Stuart has an extensive profile on Facebook as well, which allowed me to kick off the interview with a question about Stuart working at Bells Scotch Whisky in 1981. 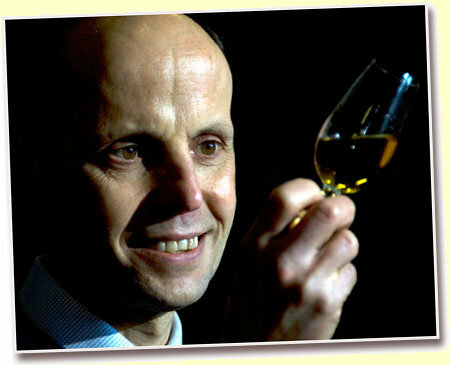 I asked about the work he was doing in the 1980’s and the most significant changes in the whisky industry since then. A: [SN] I started in the industry as a chemical engineer and initially my work was mainly involved in reducing energy costs throughout Bells distilleries, some of this work involved installing evaporators to produce pot ale syrup with the main energy driver being the hot water from the condensers. This meant running the condensers at much hotter temperatures than was traditional and there is still a debate today on whether some of these practices affected the product quality. I was also involved in the early days of trying to operate one-man distilleries with Bladnoch designed to work in that way when Bells took it over and invested in it. Q: What have been the most significant changes in the whisky industry since the early 1980’s? A: [SN] There have been many changes and it is difficult to know where to start – consolidation between many of the larger players, new smaller companies entering the industry, more knowledgeable customers, use of the internet for communication and marketing and sales, far larger range of Single Malts available compared to 20 years ago which gives the consumer almost limitless options. More knowledge of new spirit and much more knowledge of the impact of the cask on the final product, more innovations in maturation – use of wider range of previously-used casks (Rum, Madera, wine etc), finishing, blending of different wood types, use of new wood. In production there is more emphasis on reducing the impact on the environment, more emphasis on health and safety and a lot less people working. Q: You’re part of a minority in today’s whisky industry – the people that have lived through the whisky crisis of the early 1980’s. Do you have any insights to share w.r.t. the similarities and differences between that crisis and this one? A: [SN] Companies tend to be better prepared now for the challenges that lie ahead. There is more information available to make decisions, people tend to be more knowledgeable, communication is better both internally and with the importers, the wholesaler, the retailer and importantly the customer. This leads to firstly more informed decisions but also means that we can change plans quicker, there are also more options to follow if one strategy proves to be the wrong and so companies can be more flexible. This may be easier for smaller companies like Glenglassaugh but on the other hand we don’t have the financial cushion of the huge multi-nationals and with limited stock available it can make the options more restrictive. Q: Scaent group is listed as the new owners of the Glenglassaugh, but you informed me they have a fairly ‘hands off approach’ towards the distillery. So, I take it you play a significant role in shaping the business strategy. What are the plans for the next few years? A: [SN] Scaent have been fantastic, they invested a lot of cash to purchase the distillery and to re-furbish it so that we were producing at the end of last year. In addition they are in it for the long haul and want to see the business build in value rather than aim for short term profits. Our plans include continuing to release the small amount of aged stock which we have here as single cask bottling all of which will be at cask strength, non -coloured, non chill-filtered and bottled on site. We will also look to produce other products, for instance we have just released a limited edition single mash New Make Spirit called “The Spirit Drink that dare not speak its name” – well we couldn’t call it whisky so we said so on the label. We are also about to sell octave casks (50 litres) for individual ownership and later in the year will introduce a members only club which again will have a restricted membership. In terms of capital investment we are hoping to have a visitors centre in operation within the next 12 months and we are also aiming to re-open the traditional dunnage warehouse which we have. Q: Because the distillery was mothballed as far back as 1986 I assume securing large stocks of the old Glenglassaugh whisky must have been tricky. Nevertheless, I’ve read on your website that you’re offering 21yo, 30yo and even 40yo official bottlings. Were these casks still lying around in the warehouses at the distillery? A: [SN] I wouldn’t call it lying around but Edrington, who were a fantastic company to deal with acting as complete gentlemen throughout the protracted period as we gained all the authorisations necessary prior to the deal being concluded. In terms of the casks Edrington agreed to sell us their entire stock which wasn’t very much and therefore we only have very limited volumes of whisky aged from 30 years and above which we can release each year for the next 10 years, in terms of the “21 year old” this is really all the whisky which we have which is less than 30 years old and once it is sold then that is it gone forever. Q: With your new whisky, will you try to replicate the ‘house style’ of the old Glenglassaugh distillery or are you working towards another profile? A:[SN] We had the production records of the 1980 Glenglassaugh and so we knew the volumes, temperature and running rates at every stage of the process and our first aim was to produce the same new make spirit. We are very happy with what we produced and we believe that the underlying characteristics of the aged whiskies can be found in the new make spirit. With regard to the maturation we trying a number of options at the moment with casks of different origin being sourced as well as different sizes, this will allow us to find out what works best for us and at the same time share some of these through special releases. Q: How much of the old equipment – if any – is still used and which equipment had to be replaced? A: [SN] The main items – malt storage, malt mill, grist case, mash tun, heating tanks, wooden washbacks, stills, condensers and vessels were all fine ( with the exception of the mash tun false bottom which had been stolen during a break-in before we took over). We had to replace the boiler, the boiler chimney, all the pumps and heat exchangers and most of the pipes as well as all of the electrical wiring. Q: What is the water source for the distillery? A: [SN] We have two wells for the process water which are around 1 kilometre from the distillery with the collected water being stored in a large vessel before being piped underground and under the road to the distillery. The cooling water comes from the Fordyce burn which runs past the distillery. Q: You mentioned you were involved in operating one-man distilleries like Bladnoch. I don’t have all the facts, but it seems that most new distilleries work with a small crew rather than one single person. Is that impression correct and, if so, why do you think these experiments seem to have stopped? A: [SN] Most distilleries work with only one or two people on shift at one time although that doesn’t necessarily mean that they are automated. Many of the manual tasks have been taken out of the work over the last 20 years, primarily because of health and safety and partly due to process control accuracy/consistency and to a very small extent to save costs. 20 years ago it was common to see people climbing in and out of washbacks to clean them or going into wash stills with buckets of caustic to clean them while a number of stills were still manually coal fired and needed a second person in the stillhouse. These tasks are no longer carried out in the same way while in other areas automatic or remote operation is in place in many distilleries. The idea of the crew is more about 3 or 4 men on rotating shifts over a 168 hour week. Q: You mentioned innovations in maturation. What type of casks (sherry, bourbon, American, European, etc.) are used to mature the new spirit from Glenglassaugh? A:[SN] At Glenglassaugh we are experimenting with many different types of casks including ex-bourbon, refill Scotch Whisky, ex-wine from various regions, ex-sherry and other ex-fortified wines as well as a mix of American and European Oak. Q: I like the name you invented for “The Spirit Drink that dare not speak its name”. However, customers that are used to drinking single malts might experience a ‘culture shock’ if they try new make spirit for the first time – however refined. Don’t you think this could damage the Glenglassaugh ‘brand’ in the eyes of some customers? A:[SN] We believe that it may be a surprise to many people, because both Graham (Eunson) and I feel that it is the best new make spirit that we come across. We don’t believe that it will damage the brand as it demonstrates that the fruity aromas and taste of our aged whiskies are very noticeable in the new make and we would like to hope that people will enjoy it as a unique and very nice drink but is not, at this stage Single Malt Scotch Whisky. I should also mention that it is a limited edition, individually numbered bottles and unique in that we have used the spirit from one distinct mash and recorded every details of the mashing, fermentation and distillation stages and these are included in the neck tag on the bottle. Q: Why did you choose to bottle “The Spirit Drink that dare not speak its name” at 50% rather than at the ‘natural’ strength? A: [SN] Graham and I decided that at full strength the spirit strength overwhelmed the floral tastes of the Spirit Drink but by reducing it to 50% it can be drunk and enjoyed with a great medley of flavours interacting in the mouth. Q: You mentioned you will be offering ‘octaves’. The maniacs are often sceptical when it comes to investing in regular casks of fresh spirit (200 litres or more is a LOT of whisky for one person and the large casks mature relatively slow), but using smaller casks makes such a cask offer more interesting. Will customers have the choice between different types of wood and what kind of investment would be required if you wanted to bottle it after, say, five years? A: [SN] We have used octaves for this cask offering because they are approximately 50 litres and will mature quicker than the larger casks. That means less capital outlay now and the whisky will be able to be bottled earlier than with a larger cask. We will be charging around £500.00 for this cask offer and hope to have the final details sorted out next week and will then make the offer more widely available. We are not offering different types of cask at this time but we are intending having a different cask purchase offering later in the year, which will be based on the more normal barrels, hogsheads and butts and there will be a range of cask types available at that stage. Q: Why did Scaent decide to buy a distillery that’s been closed for a lengthy time (with attendant stock issues) rather than a) buying somewhere like Glendronach, or b) building a new one? A: [SN] Well for one thing Glendronach was not for sale at that stage and we were looking for a distillery that (1) made good whisky, (2) had heritage (3) has stocks and (4) was available for sale. That knocked a new built out and when we started looking there were very few distilleries openly available for sale and so I approached Edrington as I remembered that Glenglassaugh whisky was good and it certainly had heritage. As you know there was not a lot of stock available and the distillery and the buildings have needed a lot of investment but we felt that it was the right decision when we got the stock checked for quality and we were just taken aback by the quality of it which we think is outstanding. Great Stuart, thanks a lot! I’d love to ask even more about the history and future of Glenglassaugh, but I’ve got a fresh issue of MM to publish. Rest assured that I’ll be keeping an eye on the Glenglassaugh website to find out what you’re up to.